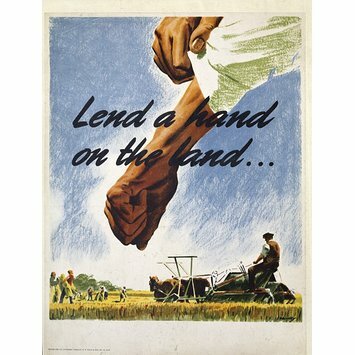 Colour offset lithograph poster encouraging the public to support agriculture in Britain during the Second World War. The design shows the hands of a man rolling up his white shirt sleeves, set against the background of a vast blue sky above a cornfield. 'Lend a hand on the land ...' lettered in a black cursive font across the centre of the image. Lettered in a black cursive font across the centre of the image. 'Lend a hand on the land ...'. 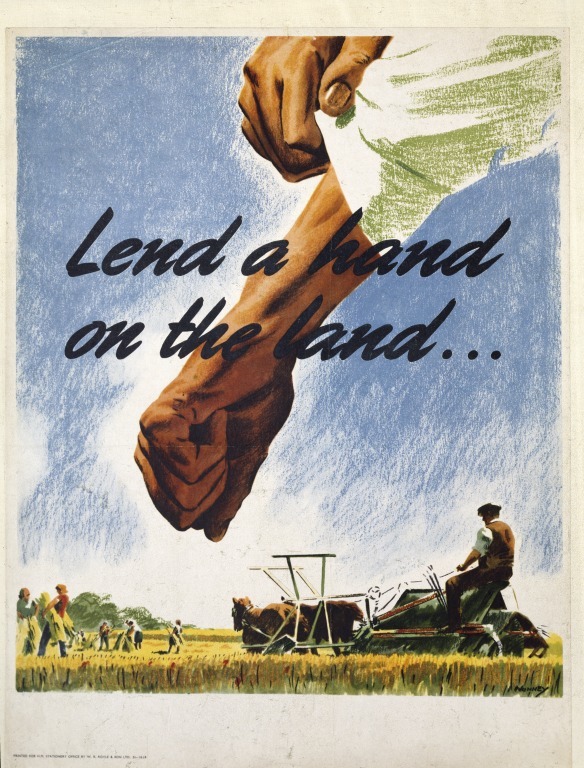 Colour offset lithograph poster encouraging the public to support agriculture in Britain during the Second World War. Designed by John Nunney, Great Britain, 1939-45. Issued during the Second World War.